But when I use that wired mouse on my laptop, I started feeling inconvenience because of that wire. So I decided to buy some wireless mouse for my laptop. I was just looking to buy only wireless mouse for my laptop. I think buying an external keyboard for laptop won’t be much useful. But after thinking sometime I decided to buy both wireless mouse and keyboard at once. Because – if I decided to buy a keyboard later, then that time I need to plug two USB Receiver to my laptop to work with mouse and keyboard. So I decided to buy both at once. When I did some research online, I decided to go with Logitech MK270 product for my laptop. 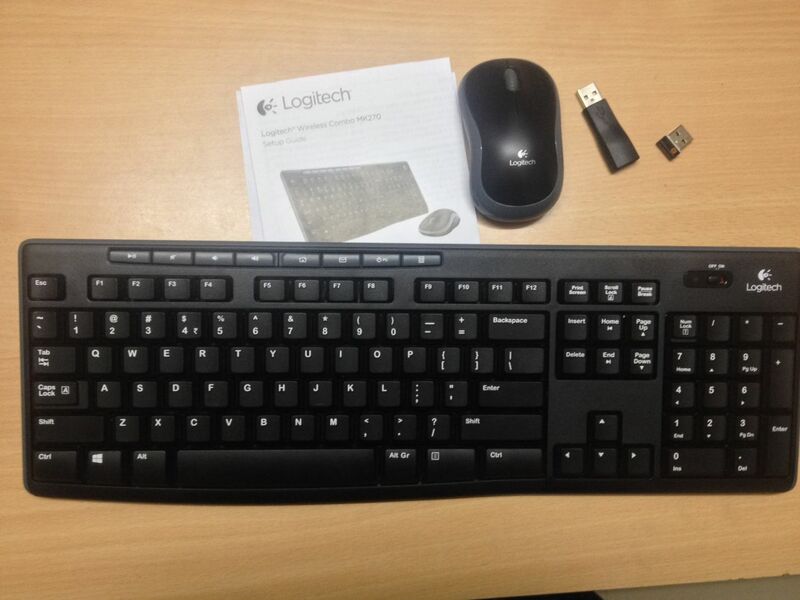 Logitech MK270 Wireless Keyboard and Mouse is an entry level wireless Product for your PC. It comes with Wireless Keyboard, Wireless Mouse, USB Receiver, USB Range Extender, Batteries and User Documentation. The mouse which comes with MK270 is very small mouse. If you love small/compact mouse, then you will love this mouse. If you are like me who prefer to use big mouse, then this mouse is not for you. But if you started using this mouse for few days then you will get adjusted to that size. For some days you might find some inconvenience while holding that small mouse. This mouse comes with 2 Buttons and one scroll wheel within it. Like every basic mouse comes with. 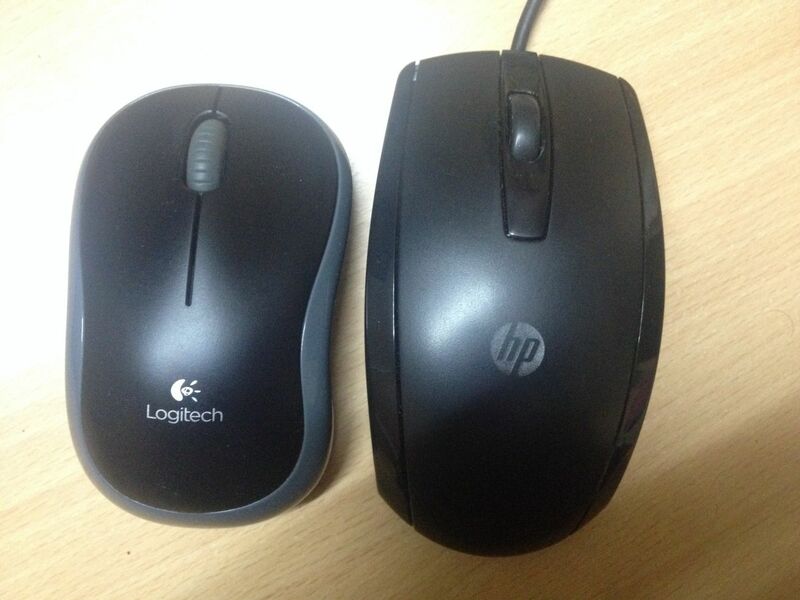 You can see the below image comparing Logitech mouse with HP KY619AA USB mouse. On the backside of this mouse you will find On/OFF button for this mouse. 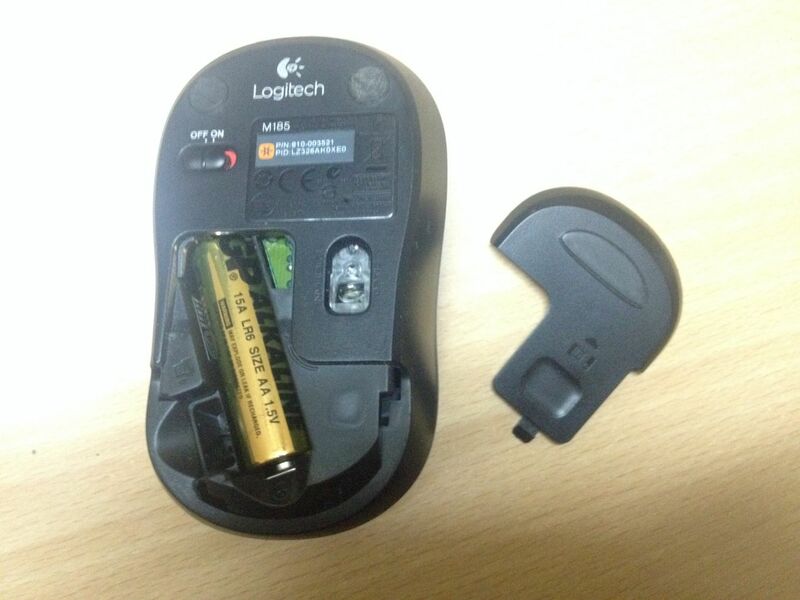 If you open cap you will find 1 AA battery inside the mouse. Here you will also find a place to put your USB Receiver inside the mouse. 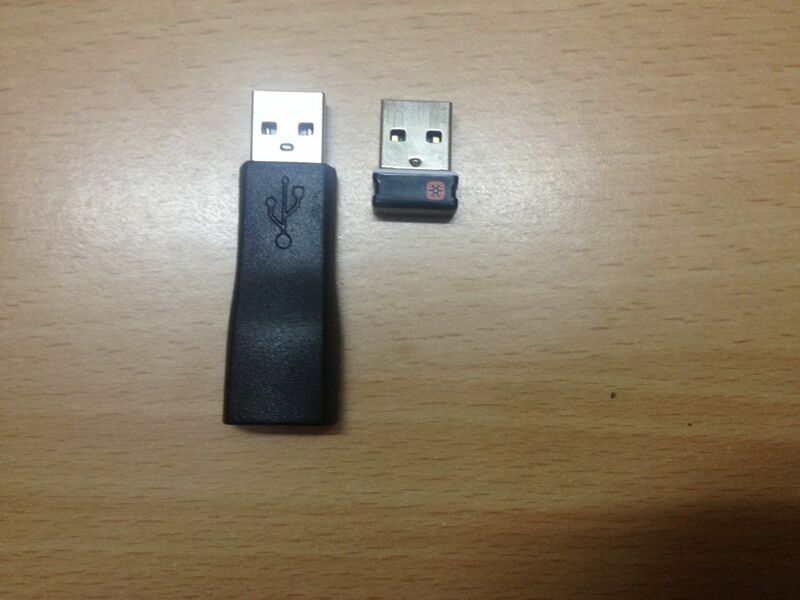 By this way you can safely keep your USB receiver inside your mouse when it is not in use. Even though this mouse have an optical light, but this light won’t turn ON. This uses invisible light. By this way we can save some battery which is required for light to work. This mouse automatically goes to sleep if it not used for a long time. By this way also you can save some battery as well. According to official documentation, the mouse battery will Long-last for 12 months. Pro’s and Con’s about this Mouse. USB Receiver is a small device that you plug to your computer to receive the signal from your wireless mouse and keyboard. USB extender (Big one, which looks like pen drive) is used to plug your USB Receiver into it to extend signals and to make more comfortable to Plug and remove the device from your computer. I really love the size of USB receiver which comes with MK270 product. The receiver is too small, you cannot notice that device even when you plugin that device to your Laptop. 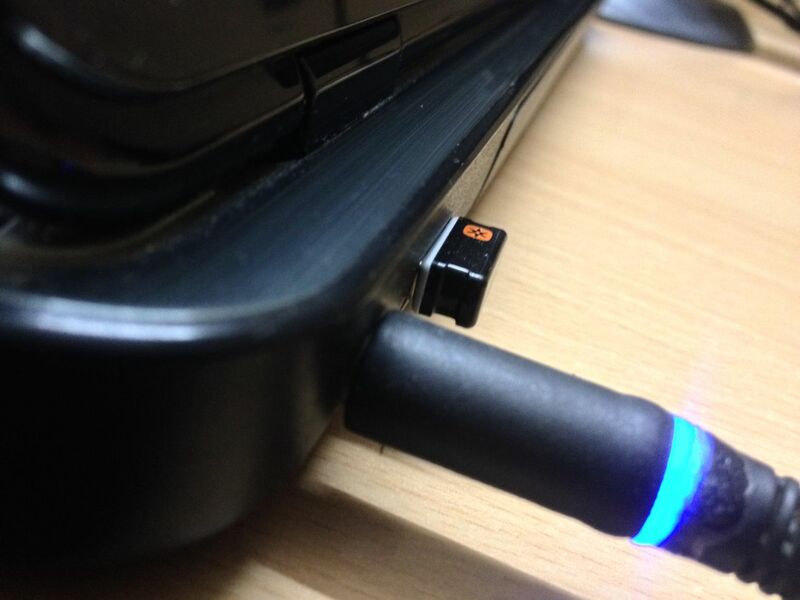 See the below image how this Logitech tiny receiver will looks when you plugged it to your laptop. I always leave this USB receiver in the laptop itself. This wireless keyboard uses 2 AAA batteries. 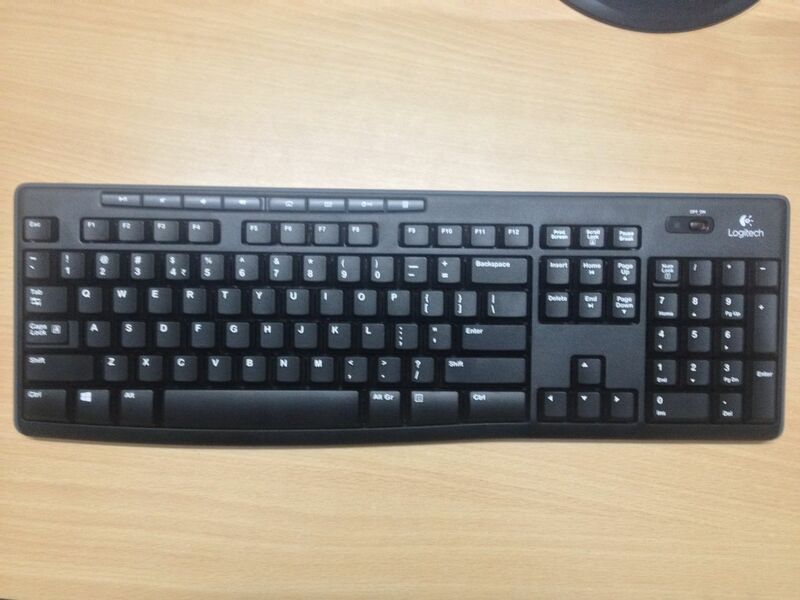 This is full sized keyboard and comes with Number pad, On/OFF button, Functions keys, directional keys and 8 hot keys. The build quality of this keyboard is good. This keyboard doesn’t contains Palm Rest. If you are a regular keyboard users, then you should think about this drawback. 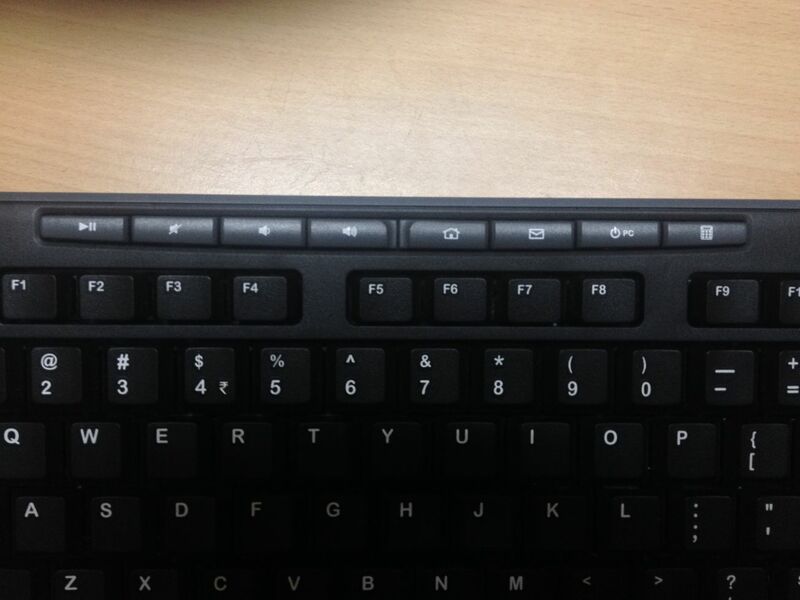 This keyboard comes with 8 Hot keys for one-touch access. You can easily access Pause, Mute, Volume increase, Volume decrease, Home, Mail, Power, and Calculator within the keyboard itself. The battery life for the keyboard given in the official documentation is about 1 Year. Logitech Wireless Combo MK 270 is good for medium or light computer users. I don’t recommend this for an advanced users. If you are looking buy wireless mouse and keyboard in this price tag, then I recommend this product. This is good product, but lacks in few features which is useful for advanced users. Thank you, I bought the same combination. For me the only drawback is the left shift key, which is what I normally press to shift (I am left handed) the left shift key is small and I keep hitting the \ button instead of the shift key, but hopefully I will get used to it. Please can someone tell me what the Alt Gr key stands for on the right side of the space bar. On the box it just shows Alt yet on the keyboard it says Alt Gr. What does the Gr stand for? Actually, India got Currency symbol like US Dollars ($). For that purpose that Gr stands for. To type Indian currency Hold Alt Key (Right Side) + $ icon. You will get Indian Currency like ₹. Length around One and Half feet. Width around half feet. i just want a keyboard, does the mouse and keyboard both use the same usb connector? if i buy the set will i be able to sell off the mouse buy itself or will that not work? Yes. Mouse and Keyboard uses same usb connector. If you get another USB connector probably you can sell other item. Pros: it means it goes to sleep mode… means, it still uses little battery. cons: it won’t turnoff means.. it will be in sleep mode so it won’t be fully off mode. It’s like sleep in PC. 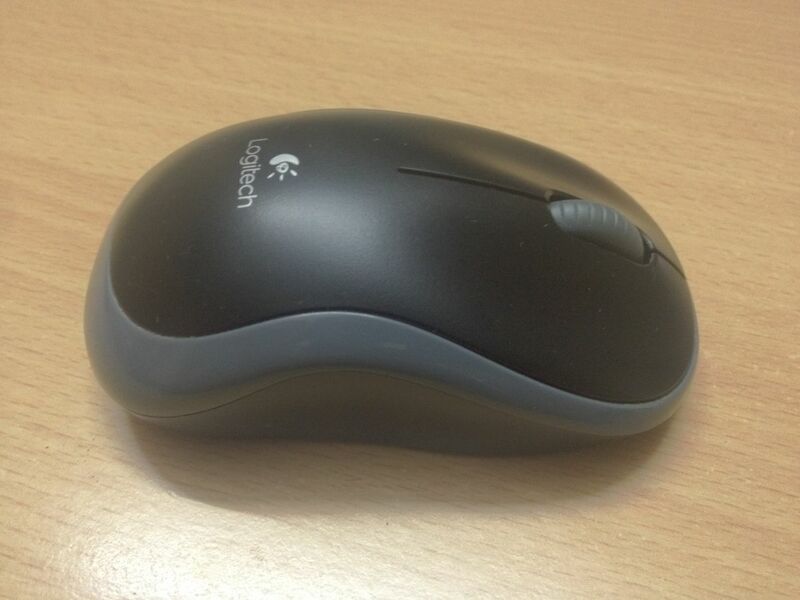 I recently bought 2 of these Logitech Mk270R wireless keyboard mouse combination units and I must say I AM NOT HAPPY! The keyboard goes into sleep mode within seconds of inactivity and it takes quite some waking up using the power switch, 123 buttons and if everything else fails remove the batteries and replace them while the keyboard is switched on. I returned the keyboards back to point of sale and with my refund I bought another brand that doesn’t have anything to do with keyboard sleep mode. Logitech have known about this problem for quite a while, but they refuse to do anything about it. Google has hundreds of pages from unsatisfied customers with the Logitech keyboard sleep mode. Why are they ignoring the problem. I’m still using same keyword on my primary PC. For me, I never faced any issue with keyword.. but I used to have similar kind of issues on mouse so I changed the mouse to wired mouse.